This year we are having a Truck show along with our annual vintage show on June 9th , 2019. 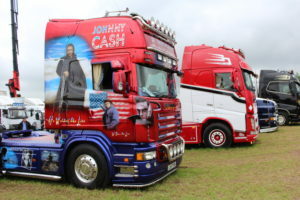 Our future plans are to extend our vintage show by developing a Truck show which will over time become the truck show that all lorry owners / drivers plan to attend. As this is our first attempt at arranging a truck show, we want to get it right from the start . We have decided to limit entries to tractor units (no trailers) and rigid sand/gravel trucks only . However as we gain more experience we will gradually add more lorry types to our show.